Right To Ride has split in two, separating European from Northern Ireland issues that affect riders. 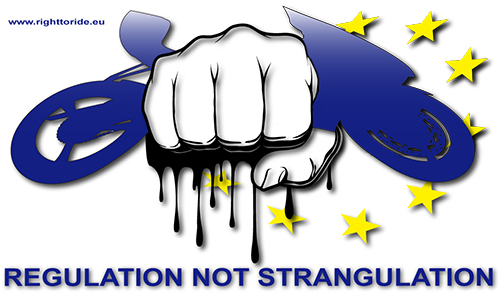 Our new website www.righttoride.eu will concentrate on legislation from the EU Commission, especially that which threatens to strangle motorcycling. The proposals for new Framework regulations continues in its progress through the European legislative system which we say is a case of, “Strangulation and not Regulation”, for motorcycles. 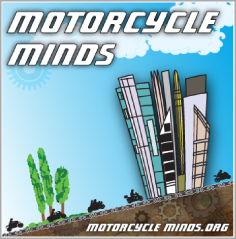 Right To Ride recognises that there is a need for the regulation of motorcycles to protect both the consumers and industry from rogue traders and un safe products. In that respect, there are numerous European Directives and UNECE Regulations in force. 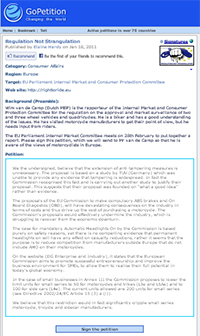 As outlined in 2008, the EU Commission proposals originally aimed to simplify approximately 20 different regulations into one framework directive (which will define the essential requirements, basic condition for production, basic rules for the internal EU market and limit values for environmental standards). This simplification of regulations has instead become a mire of technical blah blah and wishful thinking. 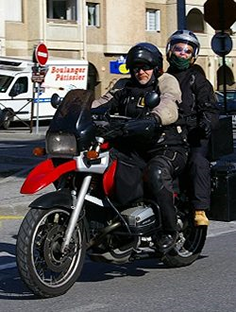 The European Commission claims that their additional proposals will greatly improve motorcycle safety without providing sound evidence to support their proposals. The proposals of the regulations are complex. Equally, the progress through the system is complex with meetings of the Motorcycle Working Group, other interested parties and The Internal Market and Consumer Protection Committee (IMCO). This is where the Framework Regulation is sitting at present and being discussed. Stakeholders are being consulted, reports prepared, horse trading with the various lobby groups and unpublicised meetings are being arranged between EU parliamentarians and riders representatives. Here at Right To Ride we keep our ears close to the ground and as individual riders we believe that we have the right to oppose the parts of Framework Regulations that we disagree with, such as mandatory ABS, mandatory AHO, mandatory On Board Diagnostics (OBD) and the extension of anti-tampering measures, just to name a few. However we can only go so far within the system and although we have been in direct contact and have been invited to “side meetings” we cannot become involved in official meetings with DG Enterprise and Industry as European Citizens because we do not have representation in Brussels. So what can we do as ordinary riders? Well we can side step the system and as European citizens, we can publicise and promote our own concerns to other like minded riders. We can set up a petition – Click Here – and get information out there for others to read. We can write to the various committees and departments and express our concerns. We can provide details about the proposals so that riders throughout Europe can make their own minds up and get involved.